We haven’t done a book review in awhile so we thought we take on American Brutus: John Wilkes Booth and the Lincoln Conspiracies by Michael W. Kauffman. With the controversy over the Confederate Battle flag (often misnamed the “Confederate flag”) going on, the old divisions and causes of the Civil War have been dragged up and thrown about again. The causes are not as simple as most people would have you believe. Any discussion of the Civil War has to include President Abraham Lincoln and how he dealt with the secession of the Southern states, the suppression on liberties in order to secure the freedom of people, the expansion of the Federal government at the expense of states rights, etc. While the Lincoln assassination as an event was a defining moment in the history of the United States, not many people have examined the life and actions of Lincoln’s killer: John Wilkes Booth. The common portrayal of Booth is that he was a crazed killer. Kauffman presents a different viewpoint. As the basis of this viewpoint, Kauffman compiled the movements, actions, writings and correspondences of Booth into a computer program that analyzed those factors. What emerged was a picture of Booth as incredibly smart and manipulative who maneuvered people around him to almost be forced to take part in the plat to assassinate not only Lincoln, but other members of the Federal government. Kauffman postulates that Booth saw himself as Brutus to Lincoln’s Caesar. In his mind, his decision to kill Lincoln was not an act of a crazed man, but rather the act of a noble gentleman determined to rid the world of a tyrant. “American Brutus” is meticulously researched and annotated. Yet the book does not read as a dry, non-fiction historical account. Kauffman manages to bring the people alive in a minute by minute account and page turner of a book. The book sheds light on the aftermath of the assassination and even beyond the death of Booth. Kauffman brings to light the thousands of people that were arrested and incarcerated for their alleged involvement in the assassination plot. The vast majority were never tried for any crime, yet many spent months in jail in deplorable conditions without any hope of being released. Kauffman also brings to life the trial of the main conspirators, putting forth evidence that the government was not exactly fair in the military tribunal used to try the accused. For example, the Supreme Court had ruled that military tribunals could not be used to try civilians except under specific circumstances. Despite those circumstances not being met, the tribunal went forward where the defense did not know of the evidence and witnesses that were to be used against them. Often times, the defense could not even cross examine the witnesses. While the outcomes of tribunals were never truly in doubt, the tribunal itself was not what the American justice system should have been, even under the different rules at the time. 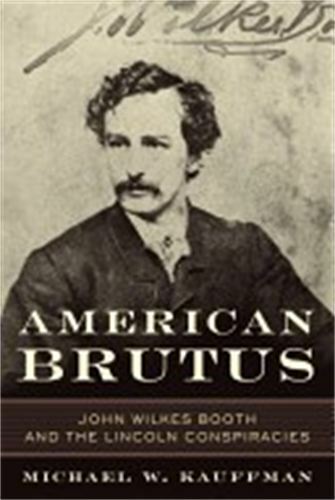 “American Brutus: John Wilkes Booth and the Lincoln Conspiracies” is a must read for anyone who is interested in the Civil War, Abraham Lincoln, his assassination, and the aftermath of the assassination.